Don't You Hear the Bullgine? 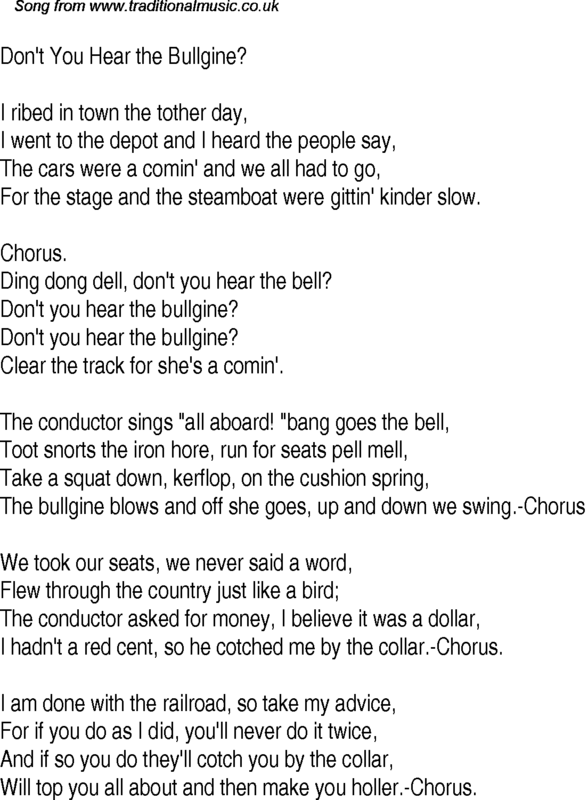 For the stage and the steamboat were gittin' kinder slow. Ding dong dell, don't you hear the bell? Clear the track for she's a comin'. I hadn't a red cent, so he cotched me by the collar.-Chorus. Will top you all about and then make you holler.-Chorus.